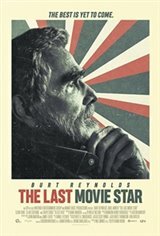 Vic Edwards (Burt Reynolds) was the biggest star in Hollywood, a college football legend turned stunt double turned leading man. Now, in his eighties, he's convinced by an old friend (Chevy Chase) to accept an invitation to receive a Lifetime Achievement award at a two-bit film festival in Nashville. The trip launches him on both a hilarious fish-out-of-water adventure and an unexpectedly poignant journey into his past.